A beautiful metal unibody construction, impressive performance, and excellent battery life highlight the solid smartphone experience that is available with the Lenovo Vibe K5 Note. The camera is a bit of a let down, but that is somewhat expected when considering its price point. Lenovo has been on a hot streak in India, with a slew of great smartphones on offer that cover everything from entry-level to high-end. The company has found particular success with its K Note series, while both the K3 Note and the Vibe K4 Note proving to be quite popular. 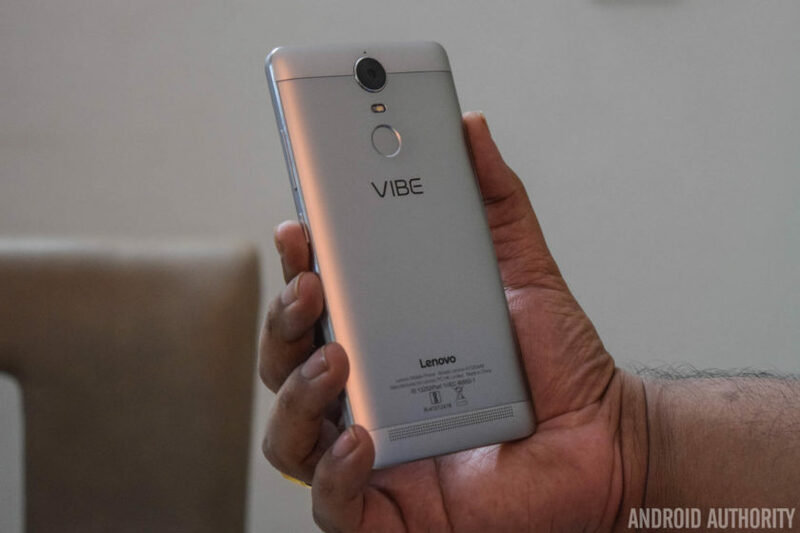 Lenovo is hoping to find the same success with the latest addition to the series, the Vibe K5 Note, that was launched in India in August. With upgraded hardware and a premium design, does the latest affordable smartphone from Lenovo prove to be a worthy successor? We find out, in this comprehensive Lenovo Vibe K5 Note review! 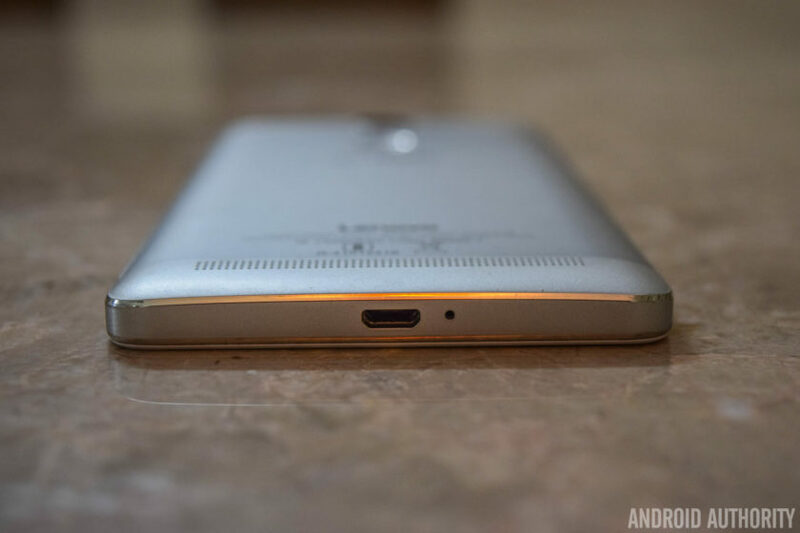 Taking a look around the device, the headphone jack sits on the top, while the microUSB port can be found on the bottom. The hybrid dual-SIM card and microSD card slot are on the left side, and on the right is the power button and volume buttons. The buttons are definitely an improvement when compared to its predecessor, with a good amount of travel and a nice click to them. With a 5.5-inch display, the K5 Note is a large device, but Lenovo has done a good job with keeping the bezels along the sides of the display relatively thin. The subtle curves all around the back contribute positively to the handling experience as well. However, the metal body makes for a very slippery device, which can take some getting used to. If you have had issues with dropping your phone, you are definitely better off using a case that adds some grip. The Vibe K5 Note comes with a 5.5-inch IPS LCD display with a Full HD resolution, resulting in a pixel density of 401ppi. This display is a huge improvement over its predecessor, particularly when it comes to the brightness. Color reproduction and viewing angles are better as well. 1080p allows for plenty of sharpness, and reading text, watching videos, and playing games are all enjoyable on this large display. The default settings are good enough, but you do have the option to change the color balance and temperature to better suit your needs. There is a manual mode that gives you granular control over these aspects, and a few preset options, like Comfort Mode, that helps protect your eyes when browsing the phone for long periods of time. One point to keep in mind here is that the glass panel protecting the display isn’t of the Corning Gorilla Glass variety, which is definitely a step back, considering it was available with the K4 Note. It’s difficult to judge how sturdy the panel is without actually scratching it or dropping the phone, but if that is a worry, a regular or tempered glass screen protector is certainly recommended. That said, I haven’t had any issues with scratches on this screen yet. The Vibe K5 Note is powered by the octa-core MediaTek Helio P10 processor, clocked at 1.8GHz and backed by the Mali-T860MP2 GPU. This particular review unit comes with 4GB of RAM, but there is also a slightly cheaper version of the phone available with 3GB of RAM. The benchmark scores may not be very impressive, but the overall performance has actually been really good. Opening, closing, and switching between apps has been a breeze, and the device handles everyday tasks very well. The gaming performance is excellent as well, and there have been no instances of lag or stutter when playing games like NBA Live Mobile, Stick Cricket 2, Modern Combat 5, and Riptide GP: Renegade. That is as heavy as my gaming requirements go, and the K5 Note did a wonderful job with all of them. 32GB is the only option as far as on-board storage is concerned, regardless of whether you pick the 3GB or 43GB of RAM version. Expandable storage via microSD card is available, up to an additional 256GB. However, the second SIM slot doubles as a microSD card slot, so users will have to make the choice between expandable storage and dual-SIM capabilities. While the K4 Note featured dual front-facing speakers, the single speaker unit of the K5 Note has been relegated to the back. Lenovo mentions that the curve along the bottom near the speaker directs the sound better, and it does help to some extent, but front-facing is definitely the better way to go. The sound quality itself is pretty good, and the speaker gets decently loud without sounding tinny. The Dolby ATMOS features do return however, where you can choose between preset options like Movie, Music, Game, or Voice, or set up custom settings depending on your liking. You also get additional features, including Surround Virtualizer, Dialogue Enhances, and Volume Leveler. As before, access to this feature in buried in the Settings menu, and can be found at the end of the “Ringtones and Volumes” section. Speaking of ringtones and volumes, Lenovo’s software has a few interesting additions here. You have the ability to set up different ringtones and message tones for the two SIM cards, which is a nice and easy way to distinguish between the two. There is also a feature called “Pocket Enhancer,” that boosts the ringtone volume when the device is in your pocket. However, that only really works if your default volume setting is less than all the way up already. The fingerprint scanner on the back is really fast, but not as accurate as before, with the sensor often requiring a second try to unlock the device. The speed more than makes up for the slight lack of accuracy however, and you don’t even have to lift your finger for the sensor to read it the second time and get it right. It’s fast enough that the only reason I know it took another try is because of the vibration when it gets it wrong. As we’ve seen with the devices from other Chinese OEMs, this fingerprint scanner is capable of more than just unlocking the phone. There are a few different functions that it can be set up to perform. For example, a single tap can be set to work as a back button, or to take you back to the home screen. A long press can open the Recent Apps page, and finally, you can use the scanner as a shutter button, which is very useful when taking selfies. The Vibe K5 Note comes with a large, non-removable 3,500mAh battery, and the battery life it provides has been excellent. With average to heavy usage, the device has consistently managed at least 4.5 to 5 hours of screen-on time, and there have been a few days where I’ve managed to push the screen-on time to close 6 hours. With fantastic standby times, the K5 Note will comfortably allow for a full day of use, and can easily be pushed to a day and a half to two days with lighter usage. There is no fast charging or wireless charging capabilities to be had though. If you are looking to get even more juice out of the battery, there is the standard Battery Saver mode that automatically activates at the 15% mark. There is also an Ultimate Battery Saver feature that makes the UI much more minimal, and allows for only calls and texts. Another useful battery feature is “Scheduled Power On and Off,” which lets you select a time period where the device automatically switches off and turns back on again. The Vibe K5 Note comes with the same rear camera as its predecessor – a 13MP shooter with a f/2.2 aperture and a dual LED flash. The front-facing camera has been updated however, now sporting an 8MP sensor. Taking a look at the camera app, it is quite simplistic and easy to use. Everything you need can be found on the viewfinder, including the toggles for HDR and flash, as well as the button to switch between the front and rear cameras. The menu houses just the Panorama mode and a slew of color filters, and diving deeper into the Settings is where you can play around with features like aspect ratio, photo resolution, snap mode, white balance, ISO, triaxial leveling, and guidelines. There isn’t a whole lot of improvement in terms of image quality with the K5 Note when compared to its predecessor. The camera is still capable of taking some really nice shots outdoors and in good lighting conditions. The color reproduction isn’t very accurate though, and images lack saturation, making them appear quite dull. HDR mode just brightens the shot completely, which works well in certain situations, but is certainly not something you can use all the time. Unsurprisingly, noise and grain starts to creep into the images when lighting conditions deteriorate. That said, the camera performs particularly poorly in low-light situations. The shutter speed is extremely slow, requiring a very steady hand to avoid blurry shots. Even then, highlights are blown out, and pictures lack detail. The 8MP front-facing camera allows for more detail in the shot, but generally suffers from the same issues faced by the primary shooter. There is a nifty “Beauty” mode that you’ll be able to use with the front camera too, as well as an option called “fill light” that adds pink or chrome bars at the top and bottom of the viewfinder to provide some light for your selfies in darker environments. On the software side of things, the Vibe K5 Note is running Android 6.0 Marshmallow out of the box. The default launcher is very clean, minimalistic, and features a lot of stock Android elements – especially when it comes to the Settings menu, notification shade and app drawer. However, for those who have used Lenovo smartphones in the past and prefer the company’s different take on Android, you also have the option to easily switch to the company’s Vibe UI. This offers a completely different look and feel, and elements like the app drawer are no longer available, leaving users dependent on folders to keep things organized. My personal choice is the former, but people who are already used to it from the experience they enjoyed with their previous smartphones may prefer the latter. Overall, it’s great to see Lenovo leave the choice up to the user. There are still a few pre-installed apps, but certainly not as many as what you’d get with its predecessor. All third-party apps can also be uninstalled easily, and the only ones that cannot be removed are Lenovo staples like ShareIt, SyncIt, the Lenovo Companion, and a Themes store that isn’t particularly robust. The Companion app is useful, and provides a quick and easy way to set up service requests, and a features a slew of guides and solutions to address common, everyday problems that you may come across. A software feature that can be very useful for a lot of people is Secure Zone, which provides a simple way to create two virtual zones, which, as an example, can be used to keep your professional and personal lives separate. The feature can be toggled in the Quick Settings menu, and each zone can be set up to have their own accounts, passwords, and apps, with the setup of one not carrying over to the other. If you get a notification from an app in the other zone, you will know via a red dot that appears in the status bar. You’ll then have to switch to the other zone to check it. App data and documents are also kept apart, but there is a way to share information between the two zones as well, via a common shared folder. However, call logs and messages can be accessed from either zone. Finally, we come to a feature that is very unique to the Lenovo K series, and that is the VR Mode. This mode can be triggered by simply long pressing on the power button, and after the shutdown and restart options, there will be an option to launch VR Mode. On the phone, it looks like the screen has been duplicated, and once you put the phone into a VR headset, you can enjoy a virtual reality experience regardless of which app you are using. Lenovo recommends the ANT VR headset that has been designed specifically for these phones. It can also be paired with a Umido Remote Controller for basic navigation around the user interface while in VR mode, or the Amkette Evo Gamepad Pro 2, which is what I used. It is a fun way to enjoy videos, movies, and games, so we’d definitely recommend trying one of these headsets out if you can. However, a Quad HD display is definitely better to enjoy a VR experience, with the 1080p screen of the K5 Note not exactly up to the mark here. The headset isn’t the most comfortable either, and watching a movie or playing a game for a long time can become quite stressful on the eyes. I wasn’t able to use the VR mode for more than 20 minutes at a time, for instance. It definitely is a nice feature to have and proved to be quite the conversation starter, but is unfortunately nothing more than a novelty at this point. The Lenovo Vibe K5 Note is priced at Rs 11,999 (~$180) for the model with 3GB of RAM, while the higher-end model with 4GB of RAM will set you back Rs 13,499 (~$202). The ANT VR headset can be picked up for Rs 1,299 (~$19), and the Umido ESoul DH2 Remote Controller and Amkette Evo Gamepad Pro 2 are priced at Rs 999 (~$15) and Rs 2,599 (~$39) respectively. 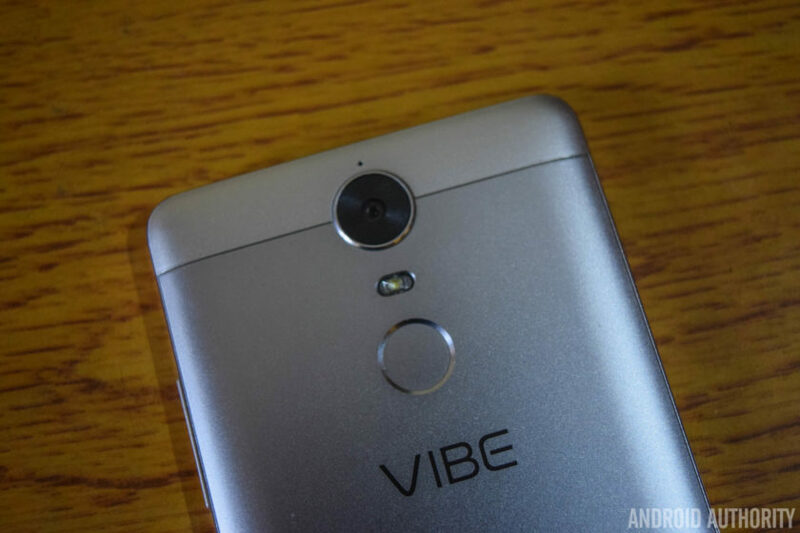 So, there you have it for this in-depth review of the Lenovo Vibe K5 Note! This is yet another fantastic offering from Lenovo that provides an experience that goes far beyond what its price tag would suggest. Of course, this smartphone isn’t as powerful or packed with features as as the more expensive flagships out there. That said, the Vibe K5 Note handles day to day tasks very well, features an impressive gaming experience, provides impressive battery life, and comes with a clean and smooth software package. And that is all that some users really need from their smartphone. The camera is a bit of a let down, but can take some nice shots in ideal lighting conditions, and that is the only negative in what has been a very positive experience overall. At this price point, the Lenovo Vibe K5 Note is definitely a phone that I would recommend.